Increase Spark Energy with MSD! Improve throttle response, mileage and power! Plus the unique red finish compliments the engine bay nicely on your prized MINI! Prior to ordering check the pins to see if you have round or flat! The difference between a round pin and a flat pin coil is determined by the pins that connect the coil to the wiring harness and can be easily determined as follows. 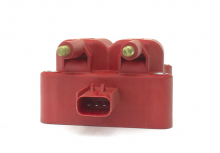 Slide the red locking tab to the right, press down on the tab and pull the connector off the coil. 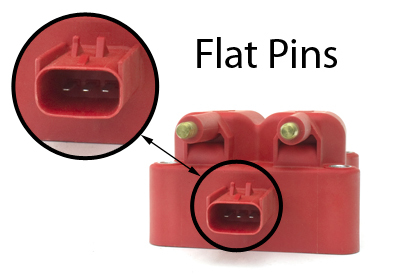 Check connector to see if you have flat pins or round pins. Push the connector back on until it clicks in place and slide the red locking tab back to the left, locking position. 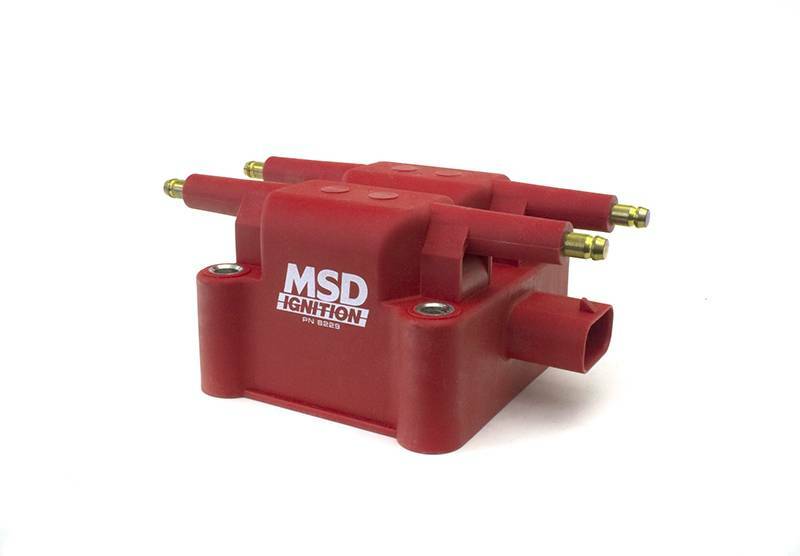 Competitors selling MSD coil packs often do not include the necessary mounting bolts. OEM bolts will not work. 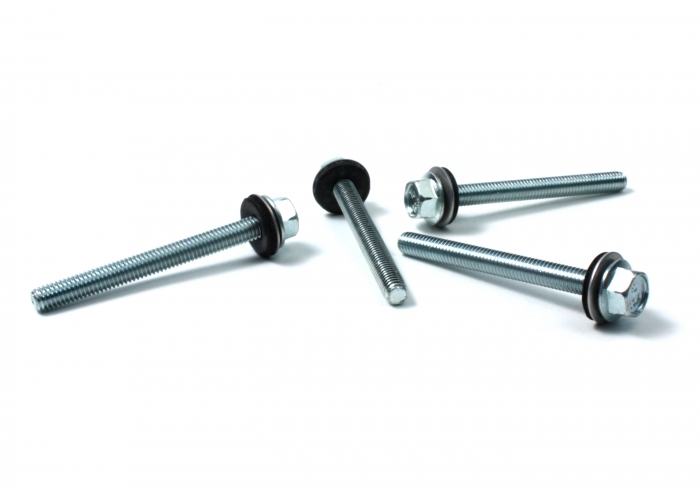 ALTA Performance provides (4) longer Mounting bolts and (4) washers with every MSD coil pack purchase required for proper mounting. These are provided at no additional charge.